Phoebe began challenging the boundaries of preconceived knitting ideologies. As a knitwear innovator, Phoebe experimented with the relationship between technical knit structures, combining them with innovative performance enhancing yarns for performance-wear products. Derived from her interest in the amalgamation of science and design, Phoebe continues to combine the above structures in purposed placed graphics allocating anatomical considerations that require specific support. As Knitwear Design Technician at Skinwear LTD, Phoebe's practice is at the forefront of knit innovation for technical knitwear. As of recent, she has also began to expand on her own freelance brand with a few projects in 2018/19, and is currently open to freelance opportunities. 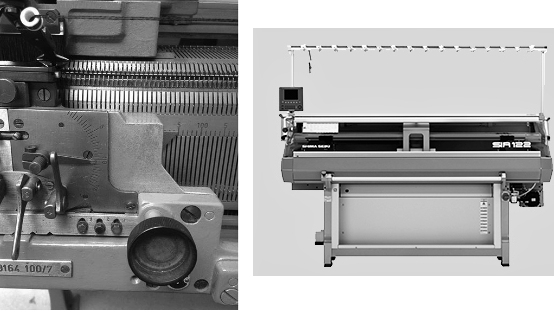 Phoebe’s expertise is in Dubied, flat bed and WholeGarment power knitting machine technology, as she has had confident experience in Shima Seiki technology and is trained in Stoll Machine Handling and basic M1+ programming. Phoebe applies a practice-led research approach when exploring a bricolage of design methods, in order to research, design, research, create. She believes in using this cyclical design process, machine and material determine the functional knit structure outcome, that are created due to a need within practical use. The result? Products that are tailored to the individual athlete. Through working with innovative yarn suppliers, Phoebe introduces new textiles for the future of performance wear, with a focus on sustainability and wellbeing. Consumers are accustom to a fast pace lifestyle, where needs and wants are acted upon instantaneously. Stewart stipulates that ‘the global population is progressing towards a truly mobile life, with technology at their fingertips thanks to the internet and the smart phone revolution.’ (Stewart & Shamdasani 2017: 57) So if knowledge is so readily available, why isn’t the increased performance of the body so easily accessible within daily wear? Phoebe feels that clothing will soon reflect this demand and instant gain ethos. Having apparel that improves your day-to-day performance, and encourages the ease of daily life, will become the expected instead of the unexpected.